As we noted in our last blog ‘An Introduction to 3D printing and Inspiration for you’, 3D printing is here to stay. And all for the good we say. In that vein, we thought we’d take you outside the box and look at the innovation 3D printing is providing. Here are five innovations under development as I type. We’re not talking ‘let’s change the colour of ink printing’ – we’re talking life-changing/ life-saving innovations. You think that’s far-fetched. No – not at all. As this article in the Guardian newspaper explains. One of the leaders in this development is Erik Gatenholm. Together with Hector Martinez, Gatenholm has created the company Cellink. They’ve been developing BioInk to enable the 3D printing of living tissue. 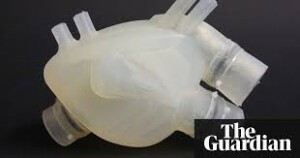 As with conventional 3D printing, you design the organ you want/need, change that into an STL file and upload to the printer. The 3D printer builds the organ one layer at a time, slice by slice. Simple structures such as skin or cartilage are printed in the first instance later progressing to more complex organs. There is potential for their use in human transplants. Cosmetics companies might use 3D printed skin to test products on thus eliminating any need for animal testing. Both LO’Oreal and San Diego based Orgavano are investigating this possibility. Bioprinted skin will be with us within five years and cartilage transplants could be with us within ten years. Which opens up the question, ‘Just because we can – should we?’ What might be the consequences of creating replacement organs? And every action has a consequence. Back in December 2017, MIT (Massachusetts Institute of Technology), showcased a ‘living tattoo’. 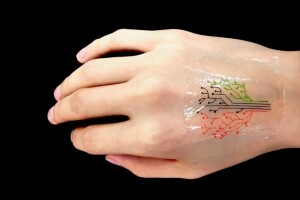 Using a special ink, made from genetically programmed living cells. The cells within the ink are engineered to respond to chemical stimuli. Led by Xuanhe Zhao (the Noyce career development Professor in MIT’s dept of Mechanical Engineering) and Timothy Lu (associate Professor of biological engineering, electrical engineering and computer science) researchers discovered that bacterial cells are the strongest. The cells are added to a mixture of hydrogel and nutrients to feed the cells. This paste produced goes through a custom-made 3D printer, to print the tattoo. Once applied, and over a period of time, parts of the tattoo light up as the cells react to the chemical compound. It is, of course, much more complex than this. At this stage it’s research and experiment but Timothy Lu asks us to think of internal uses too. What if a living tattoo could identify a change in your health, anticipate a stroke or heart attack? This video explains in more detail. To me and you this is a common place item. We all wear or know someone who wears a smart watch, fitness gadget, etc. The world of 3D printing can make this technology cheaper and more personal. How about having the inside of your ear canal scanned, and a customised ear bud created for you. No more listening to music and having the earbud fall out, half way round a run. Customised earbuds have been on the market since 2013. Companies such as Snugs create the earbud using moulding techniques, rather than 3D printing. Which leads us to Formlabs Inc. They launched their ‘hearables’ customised earbuds in January 2018, at the Consumer Electronic Show (CES) Las Vegas. Now these are 3D printed. 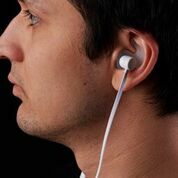 As 3D printers and materials have become cheaper the earbuds can be with the consumer in record time. What if we said there’s a printer out there able to print ceramic items? Now if I’d said that five years ago – yep we’d be laughing. Yet New York Based Kwambio, have created the Ceramo OneTM. 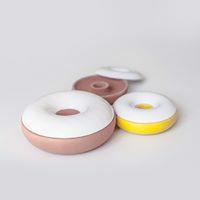 Fed up with not being able to print ceramics with precision and speed, they made their own. In the main, Kwambio’s reputation is for their prototypes, jewellery and one-off commissions. But by developing the Ceramo OneTM they have moved the world of 3D printing on. Ceramic printing is now at least possible, and this is one to watch for the future. Talking of the future, 3D printing metals are here now. Already, manufacturing companies are using the process to cut both time and costs of the production of prototypes and parts. 3D printed metal items can, in some cases, be up to 60% lighter than their true counterparts. Meaning the aviation industry alone could save billions of pounds in both manufacture and running costs. Although used in the corporate world, home use isn’t far behind. The American company DesktopMetal sent out its first machines in December 2017, although these weren’t to home customers! Like with all innovation give it a couple of years! So there we have it, Five ‘concepts’, out there now. Someone is creating them and 3D Printing them right now. The overriding feedback from CES (Consumer Electronic Show), is that 3D printing is no longer seen as novel. It’s now mainstream, what’s new and exciting are the uses and possibilities it brings. As we said, and as seen here, some of them are lifesaving. Don’t forget to check out our Facebook and Instagram for more innovation and design.